When you think of streetmonsters, you might think of the legendary movie Ghostbusters. 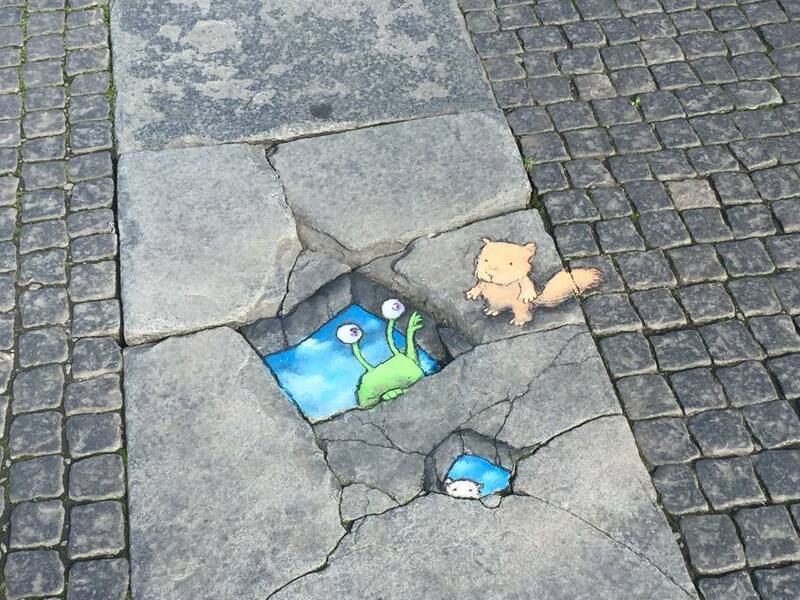 From all kind of cracks in the streets, irrefutable boring sidewalks (although that is clearly not the case in Lisbon ; ), smelly drains and small and big fractures of walls those gelly monsters pop up. 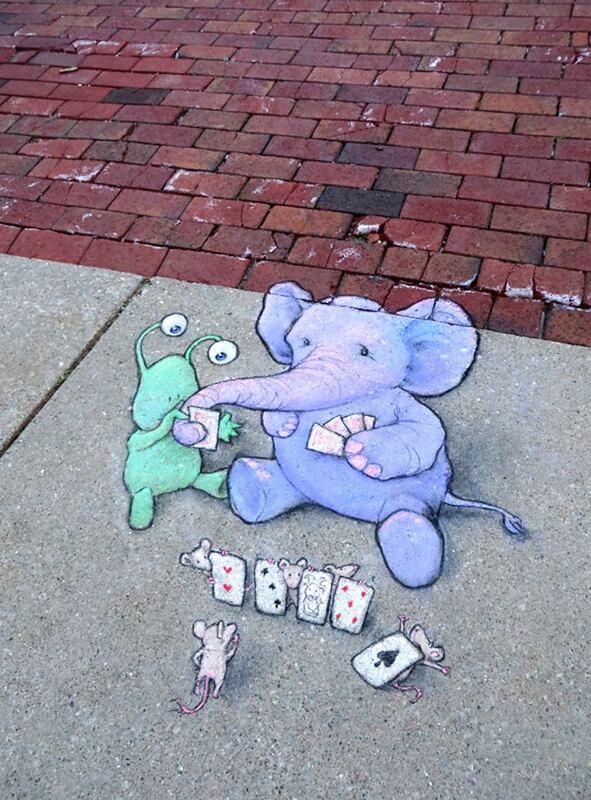 Although they don’t all have to be feared by humankind, as street artist David Zinn adds a spark of happiness to our cities with colourful chalk characters out there. But ok… so far a bit of historical facts. Nowadays one uses chalk in many different situations. Athletes, mountain climbers, teachers, constructionworkers… and artists. 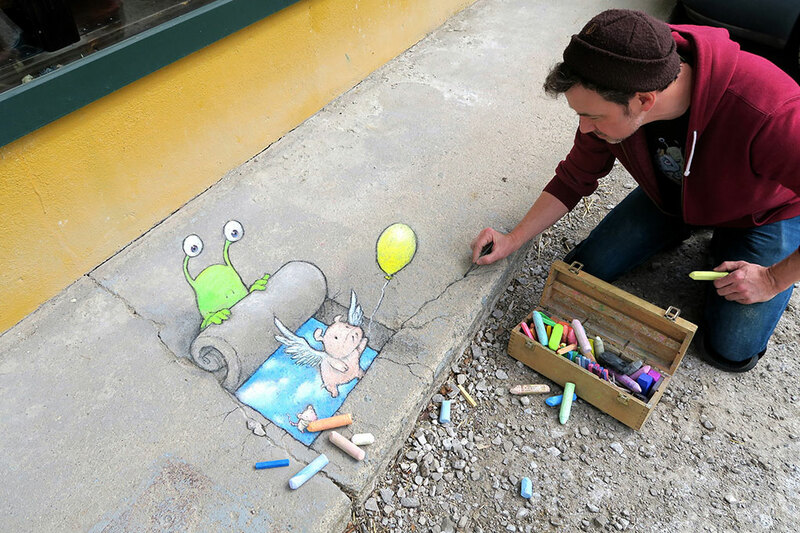 Chalk, charcoal as well as any found object in the street becomes part of the scenery for David to improvise different pleasant and charming characters. Though since 2008 he has some favourite frequent ones, like Sluggo, a small-scale green monster with popping-out-eyes. Or Philomena, a phlegmatic flying pigg getting itself in some kind of trouble or not. He started in Ann Arbor, Michigan (USA) but very soon conquered different parts of the world with this extremely ephemeral artistic expression to say it in his own words sneaking `pointless´ art into the world at large (Bored Panda). And if you wanna read more about the historical aspects of this tool to mark the streets, check out the website of Discovering fossils. 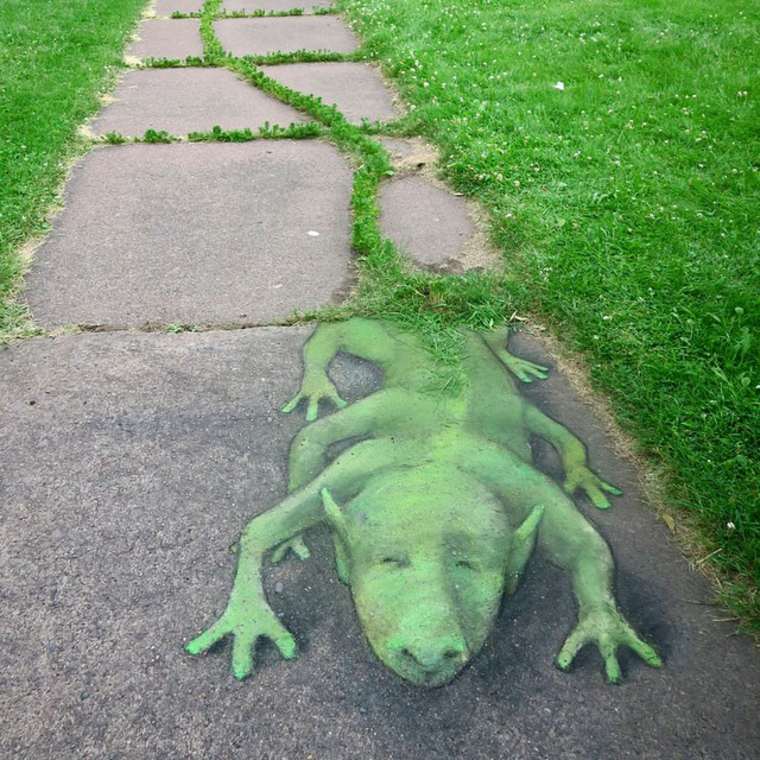 This entry was posted in Blog, Do It Monday and tagged chalk, chalk art, charcoal, david zinn, diy, do it monday, doityourself, ephemeral, street art, streetmonsters, yesyoucanspray, zinnart. Bookmark the permalink.